Recognition of the potential of patterns is one of the virtues of having a good photographic eye - and I have been told that I have that. 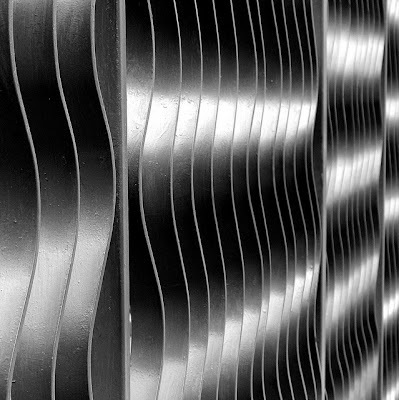 This is a shot of a metal fence in Shanghai, transforming it into an abstract composition with inherent depth that is quite pleasing. This also marks my first commercial success: a Singapore company purchased the non-exclusive rights to use it in their brochure.